Protection for vehicles and automobiles is deemed essential in most Canadian provinces. You don’t want to insure your vehicle with just any auto insurance, you want to have it insured with the best auto insurance, don’t you? This is what RSA offers. The coverage is a comprehensive protection with flexible bundling option designed to meet the needs of the clients. This plan provides the third party liability coverage you need in every province. It is designed to protect the client against bodily injury, legal liability, and physical damage that may be caused on a privately owned vehicle. RSA offers competitive rates and rewards conviction-free, experienced and claims-free drivers. RSA Auto Insurance offers a plethora of benefits and features. For instance, it offers the Hassle Free claims service and also the AIR MILES reward miles. The coverage also provides claims protection plan and a lifetime repair guarantee. It is a flexible coverage for established professionals and the plan can be combined with other insurance products additional benefits. 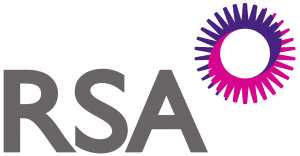 RSA is a comprehensive and flexible insurance coverage designed to meet the needs of your clients. It offers the third-party liability coverage you need in all provinces as well as excellent protection for bodily injury, legal liability as well as physical damage to privately owned automobiles. Experienced drivers, as well as drivers who are claims and conviction free, will be rewarded by RSA. RSA Auto Insurance offers interesting features such as AIR MILES reward miles and also RAS hassle-free claims service. The coverage offers claims protection plan. This means that your client’s auto premiums will not go up if he has an accident only once in 6 years. Your clients will enjoy a lifetime repair guarantee if they repair their car in any of the RSA’s networks of approved repair shops. The plan can be bundled with other RSA insurance products to help you enjoy additional benefits. Ask your Broker about RSA Auto Insurance Quotes and Compare!